I have been using Windows OS for a very long time, oops, primarily from my childhood when I first came to know what is a computer. And I used Mac OS for any development work. But now Linux has changed my entire experience regarding any OS or Desktop Environment. Though Windows OS is very easy to use and great OS. And MacOS stands out because of its beautiful look and cutting-edge features. But both the system has created a closed chain that can’t be broken or modified if any users want to as per their requirements and interest. Both the system hinders me from making my system as like as it should be. So what to do if I want to flourish my creativity and make a bloat free system. Here the answer is to use open source Linux which, both the way, provide me a smooth, customizable, user-friendly OS and also offer me a beautifully crafted, best looking system for my development work and as to use for the daily driver. Now here I am going to make a list of 5 Best Looking Linux distro which I believe many of our new Linux users may like. But if you are a power user, then I prefer to follow the Best Linux Distro that I recommend to use. The below list is based on the best looking, gorgeous and beautifully crafted one. For many Linux users it may not be perfect, but for average users, it will do the daily job. So let’s go ahead with the list and get the best one for you. Linux Mint Cinnamon is one of the best-looking Linux distros out there. Linux Mint is a fork of Ubuntu, having two variations – Linux Mint Mate based on Gnome 2 and Linux Mint Connection based on Gnome 3. The Cinnamon desktop environment is developed by the Linux Mint team. 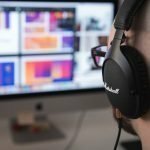 The primary goal of this team is to bring the best desktop users experience with a traditional feel and look following the modern interface and sleek beauty. If you have a proper configuration, then go for Cinnamon desktop environment otherwise follow Mate. Comes with some predefined optimization. Offers sleek modern beauty and cutting-edge features. Bodhi is a lightweight Ubuntu-based derivative which offers Moksha, an Enlightenment-17-based desktop environment. This system provides decidedly less no applications pre-installed. But that doesn’t mean that it supports less usability and flexibility. 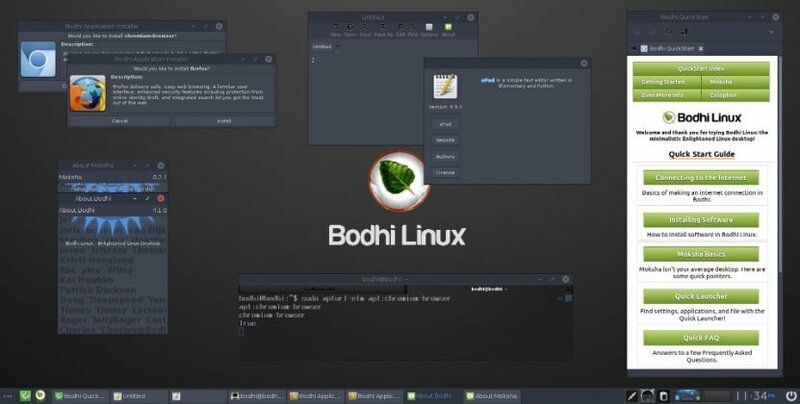 Bodhi is a beautiful looking OS with a regularly updated repository. As it’s based on Ubuntu LTS, so users get all the cutting edge features and stable support. Based on Ubuntu. Offers Best Linux Experience. Software use the Enlightenment Foundation Libraries (EFL) rather than GTK or Qt etc., so they have a unique yet consistent look. Nicely and adequately supports the old machine. 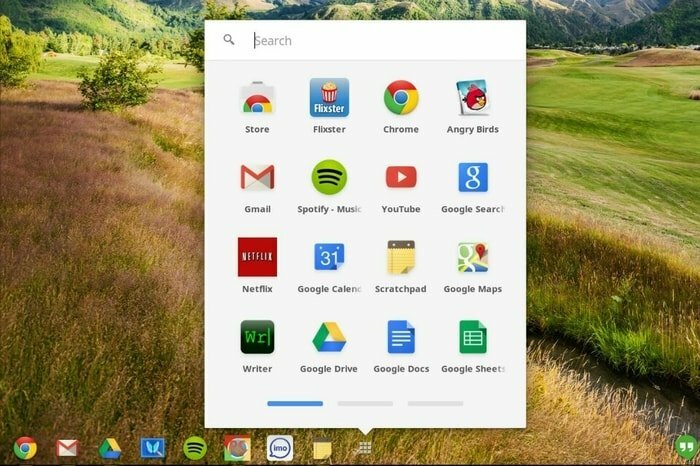 Many of the Linux users might be astonished to see chrome os on the list. But believe me, Chrome OS is one of the best looking Linux distros which is entirely out of the box in regards design, desktop environment, app process, cloud-based synchronization and much more. Chrome os is a Linux kernel based open source os which has been designed and crafted to keep in mind of those users who remains most of the time online. It’s made cloud-based to offer a simple, fast and most secure computing experience to the users. Moreover, this OS is created by tech giant Google Inc. Provides simple, fast and secure computing user experience. Regularly updated and well documented. Solus OS is one of the decent looking and having minimalistic interface Linux distro out there. This new distro comes with Budgie desktop environment which is designed and made from the scratch and aims to integrate with Gnome. Solus OS is not based on Ubuntu or Debian instead it has been made from the scratch. It is considered to have the same minimalistic interface as Google’s Chrome OS. Solus OS is as modern and crispy looking like Google’s Chrome OS. It offers a minimalistic and simple user interface with Budgie desktop environment. It let users have an entirely new and stunning computer experiences. Elementary OS has got the No 1 trophy of Best Looking Linux Distro. This OS has both the beauty and crafted Looks of Windows OS and Mac OS. Moreover, it is a self-declared as “A fast and open replacement for Windows and macOS” on the official website. 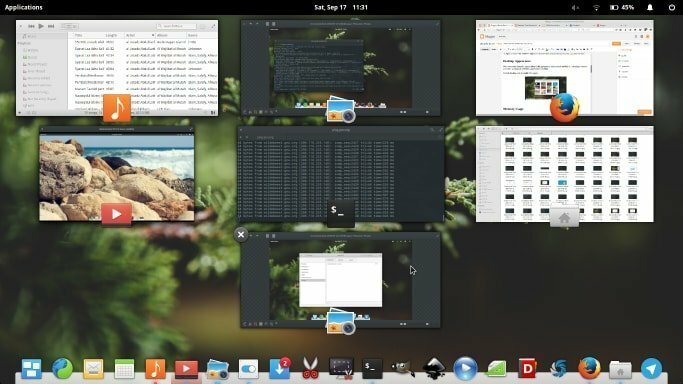 Elementary OS is an Ubuntu LTS based open source OS which is powered by the Pantheon desktop environment. At last, I must say it is complicated to choose the best looking Linux distro from no of Linux variations. There are lots of Linux distros which are simple, beautiful, sleek and offer cutting-edge features. So which one did you like from the above list of Best Looking Linux Distro? 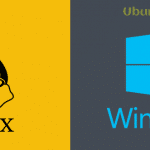 Or do you have some other Linux distro to choose? Let us know your choice and suggestion in the comment box down below. Well fellows, in this world today, with “Ransom” attacks increasing daily, there is a real need for a smooth transition escape hatch for the MILLIONS of Windoze users needing a “Windows-like” crossover. It appears to me that only one or two options are out there as serious transition aids for us millions: ZORIN and Linux Mint, based on many, many reports here on Distrowatch – a really fantastic resource! I’m going to download and test both of these and I THINK in a VDISK ??? In particular, I’m going to need to delete miles of Windows files on 5 various aged and sized Laptops and a VDISK on a Bigger HP Box with 16G Ram and a 500G Static Drive. Wish me luck and any advice! I just installed Deepin on Saturday and have to say it’s by far the best looking OS I’ve ever seen! Deepin 15.x and KDE Plasma. Elementary and Cinnamon are very nice, as well. Ubuntu Budgie is nicer looking than Solus. Bohdi? Ouch! 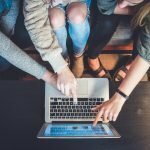 You didn’t even include the best — Deepin. And to include Bodhi?? I realise these things can be subjective, but Bodhi is hideous. Deepin OS is one of the best looking Linux Distros out there. No doubt in this regard. Our list is only for 5 Distros. But again I agree with you.